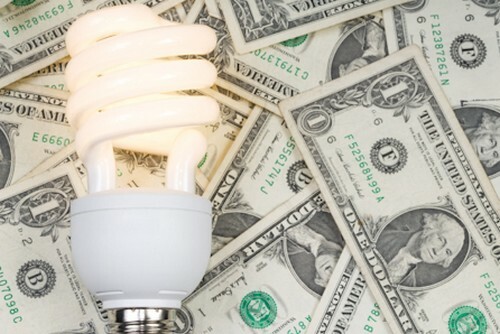 We are all aware that the cost of energy and fuel is increasing continually and consumers are always looking for new ways to lower their energy bills and keep costs down. In the last few years the media has really brought global warming and energy efficiency into focus and as a result of this the consumer is becoming more energy aware. A number or government backed schemes now mean that households can reap the benefits of energy efficiency without having to pay out big bucks. But what about those individuals who are still looking to a professional to help their home become more energy efficient? How can you help your customers make the most of their energy? A boiler will account for around 55% of a home’s total annual energy bill; so ensuring that a customer has an efficient boiler is key in reducing or maintaining their home’s energy efficiency as well as their energy bill. If a home’s boiler is G-rated then replacing it to an A-rated boiler will save them up to £490 a year. But there is more that can be done than just replacing a bad boiler. One of the best ways to help a fully efficient boiler heat a home effectively is to install a central heating thermostat. If a customer finds that they are having trouble remembering to turn the heating off when they go out or are noticing a rise in their energy bills and find that this is affecting how long they can keep the heating on for then a programmable thermostat is a great choice. It also means that they have complete control over their heating; even when they are not at home, which can give them peace of mind that they have complete control over their energy bills. A good way to provide your customer with the means to be energy efficient is to provide them with an annual service of their boiler and replace any parts that are old or inefficient. Sometimes a simple clear out of any soot will re-establish the optimum combustion conditions and increase efficiency. If you do find that a component needs replacing then it is vital that you provide your customer with top quality parts so that you can ensure that their boiler will work as efficiently as possible as well as helping them keep their fuel bills down. If you do need to source any boiler parts for a customer then it is important that you do so from a reputable company that can provide you with any advice or information that you need about a specific product; especially if you need to relay any of it to your customer. Companies such as Anglonordic can provide you with that level of service and quality; so make sure you provide your customer with the service and expertise that they deserve.